This text provides full coverage of all the topics typically encountered in business or managerial economics courses. 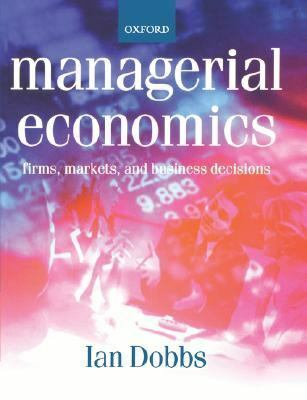 It is designed to be appropriate for intermediate and final year undergraduate, first year graduate and MBA programmes.Dobbs, Ian is the author of 'Managerial Economics' with ISBN 9780198775706 and ISBN 0198775709. Loading marketplace prices 134 copies from $96.92 How does the rental process work?